their new E.P., Shades, and some of the stories that inspire them. Olivia and Georgia tell me how they got started in music and some of their favourite memories; some rising artists we need to watch and where they hope to head. 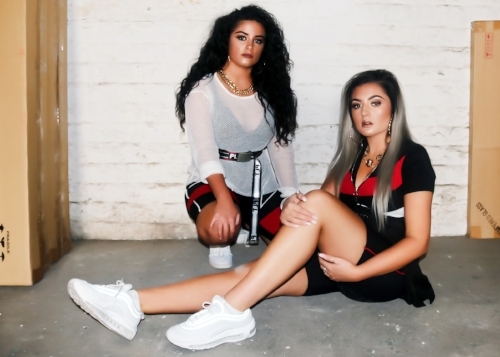 I ask them about their musical tastes and whether we can see them gig; whether there is a tale behind their latest single, Señorita, and winch artists they’d support on tour given the chance – they end the interview by selecting a couple of great tracks. Hey! Were fine thank you. Just been so busy this week! We’ve just booked a few firework displays for Metro Radio and TFM at Darlington and Saltwell (Gateshead), where there are crowds of up to 30,000. We ‘popped’ down to London to talk about music with a few people. We’ve been doing song writing sessions in schools for a couple of days and also wrote some original tracks for a choir and other artist. Oh, yeah, and sorting the video out for Señorita. We love being busy! Our names are Olivia and Georgia and together were LIV’n’G. Olivia gets called ‘Liv’ for short and Georgia gets called ‘G’. So, we just put them together to create our band name! Were a sister singer/songwriter/producing duo from Hartlepool, North East England - yes, where they allegedly hung a monkey as a spy! Liv: We’ve been writing originals for about eighteen months now; I write the lyrics and sing. G: I started to learn guitar using YouTube about two years ago then the piano, trumpet and sample pad and that progressed to producing songs. So, I compose and produce out tracks and play the keys, sample pads; backing and control the reverb on the mic, when we perform live. We have written for other artists, played over two-hundred shows in the last twelve months; recorded in London and had our tracks mastered in London and L.A. We like to think of our music as Tropical Pop/World Pop/R&B and it has been described as “inclusive to all cultures and generations”. We like to use unusual or different instruments from around the world to create hooks; things like an accordion for a Latin track we have. How did LiV’n’G form? When did you start playing music together? We have known each other since birth as we’re sisters; we’re totally different individuals but, when we work together, we’re family. There are a few years age difference between us, but people are shocked when we tell them. Liv: I’ve been singing from morning till night starting at a very young age. G: I always found music, melodies and computers interesting and learned trumpet in primary school. Our grandad bought us an electric piano around three years ago and Georgia taught herself to play. We then started to practice together and everyone seemed to like it. We started to do little local performances and were soon asked to support some local acts at gigs. It just went from there and now we’re performing every weekend! You have won competitions and gained a lot of success. How does it feel looking back and how important are those honours?! Were very proud of how far we’ve come in such a short space of time. We’ve entered many competitions and they often result in greater opportunities as well as giving us much-needed unbiased feedback. It’s good to enter local talent competitions with your friends and family watching as it teaches you about stage presence; it teaches you to take feedback and criticism, as well as ‘hardening’ you to the industry. You may not win every competition, you may not even place sometimes but these are the times when you learn more about yourselves and how resilient you are. We won a number of competitions from local ones - Beyond the Lights, Upbeat Awards - to regional ones - The Big Audition for TFM Radio (Bauer) - to national ones like Live & Unsigned for performances we have produced and for our original songs. The prizes have given us bigger stages to perform; allowed us to support some great acts and some have been connected to raising money for various charities. Over the past two years, I think we have raised over £25,000 for charity from our music. G: Being part of these competitions has taught us so much and, for me personally, it has built my confidence up so much, from not wanting to be on stage initially to playing and controlling the full set. 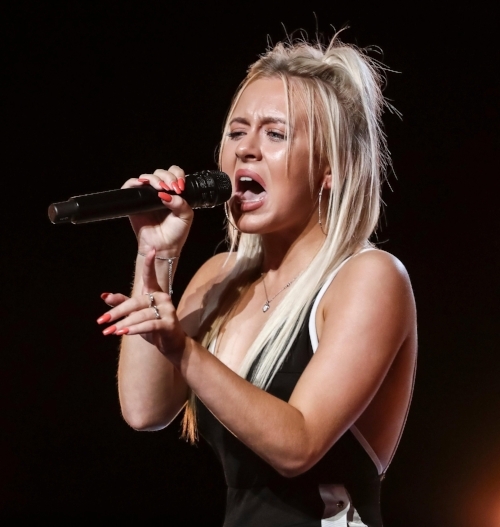 Liv: Competitions make you grow much quicker as an artist. It’s great to get feedback and gives you more focus. 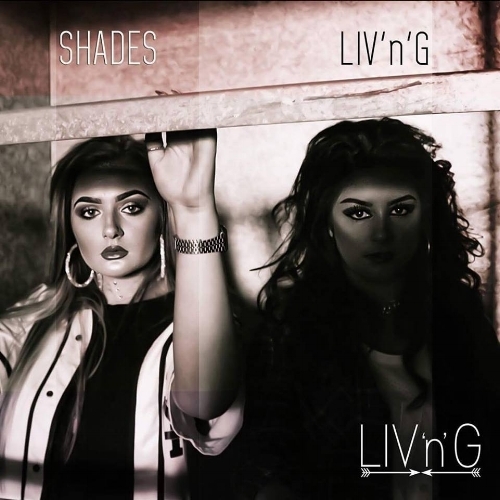 Your E.P., Shades, is out. Are there personal stories or particular experiences that inspire the song? Yes definitely. Three of the songs on the E.P. are personal stories. Walls and Green Light are about starting a new relationship and the fears that we both have felt and come across, the uncertainty of feelings; the scary feeling of ‘giving up your heart’ and the adrenaline rush that love gives you! The other personal song is Equal. We originally wrote this song in support of International Women’s Day as were all about equality in all aspects of life including music. We hope our music can be considered empowering as well as bringing a fresh vibe to Pop! The track was played internationally at different I.W.D. events! Which, again, makes us so proud, plus it has a speech by Meghan Markle in it which is amazing. The E.P. comes from a female point of view, but we think it crosses the sexes and generations as its about feelings we may all have had sometimes. What is the story behind the single, Señorita? We love upbeat and Spanish or tropical rhythms as, with a lot of our music, it’s about a powerful individual; its fun and wants to make you move and, again, it’s about relationships and jealousy; feelings that everyone will have felt at one time or another. It came from the same place as our other tracks - life and personal situations - and we just try and put it in a way that connects with people. An upbeat Latin fable of a song; strong Spanish rhythms compliment the great vocals and modern, clean urban Rap. You can almost hear the flamenco heels clicking as the ‘femme fatale’ lures her prey in. I get the sense your music is primed towards making us feel better and projecting sunshine. Do you consciously set to write music that gets the body moving? Liv: We never intentionally write a song to make people want to get up and dance. We jam, talk about our experiences and basically bring our thoughts to life using music. However, as a family, we love to get on the dancefloor. G: I have always loved the tracks of Rihanna, and the tropical rhythm that runs through her music, so obviously that has influenced the style of music we compose. I really don’t think it was a conscious choice or decision, it just happened. However, it really does depend on the story and mood behind the song. Sometimes, it can be just a poem to music (like Walls) where is it about the feeling a song conjures up, about listening to the lyrics. We want to connect with people, to engage with their memories too. We have quite a few ‘bouncy tunes’ ready to go for next year that we hope can transport everyone to warmer climates and get them dancing. Liv: I love Beyoncé. Her honest, energetic and powerful performances are amazing and her vocals are so on point, be it a fast dance tune or a ballad. G: For me, it would be bands like Clean Bandit who have brought the musicianship to the forefront of the music industry. Our inspirations range from Ella Fitzgerald to Anne-Marie, The Animals to Ed Sheeran - any songwriter that connects with us. By the end of 2018, we hope that people enjoy, stream and download our first E.P. release and were hoping to plan to release more songs early next year. Were also looking to release a professional music video to our lead song from the E.P., Señorita, which we are so excited to shoot! We want to play bigger venues and shows; we want to have a tour or tour support organized for 2019 and we want to have been booked for some festivals next year too. We’d love to get on the music industry radar, managers; booking agents or labels. There is a ’wind of change’ blowing to rebalance the music industry and female involvement; we would love to be part of that positive change. Cheesy, we know, but we want to inspire younger children who we often work with to show them that if they follow their heart, their dreams can come true! We hope to both ‘be’ Beyoncé; living her lifestyle, producing hits and influencing people…can you sort that for us? (Laughs). We are going to release more original music. We are hopefully going to play more festivals and events next year. Write ‘The Hit’…chart success would be amazing. Collaborate with other artists. Look at arranging a tour or tour support with artists we love. We may be part of a documentary to be shown on Channel 4 early next year…we will see. We’d love to have management; a label who believes in us and loves our music and to be performing all over the world…just living the dream! Liv: I’m so sorry but I must mention this one. When we supported Alexander O’Neal, we were waiting for him to come on stage and we could see him behind the curtain. Then, all of a sudden, he fell back tried to grab the curtain but missed and ended up flat on his bum. It was like it happened in slow motion. I know I shouldn’t laugh but I did (smiles). G: Mine must be performing at Everton Football Club in aid of the Bradley Lowery Foundation and seeing all of those people there to support him. G: Mine would have to be PCD by The Pussycat Dolls as it was the first album I ever bought and I could recite the whole album, even today…maybe. Liv: Mine would have to be Beyoncé’s Lemonade album as I like what she stands for. She is so inspiring and that album made me want to start writing my own music…so I did. G: I would love to support Little Mix. I think they have amazing energy and I love the fact that they are an all-girl ban…hashtag ‘pussypower’. (Laughs)! Liv: Mine would have to be Beyoncé! (Notice a theme). I’m just a huge fan. I have always been so taken back by her performances and only wish someday to be as successful as she is! Our rider would have to include parmos, crisps; M&M’s, apple juice; Jaffa Cakes…and Little Mix and Beyoncé! (Scratch that – Mam says we have to have chicken salad and water as Pam at Slimming World wouldn’t be happy). Yes! We are always gigging on a weekend and in our spare time. You can always look on our Facebook page where all our events are listed. If there are no events near you, get in touch with us to request a gig somewhere! We love to travel! We have other gigs around the North East and we’re heading up to Scotland in a few weeks too. We would say be true to who you are, personally and musically. Don’t let anyone else try to shape you into something they want you to be! As well as that; practice makes perfect! Any opportunity you get to perform, take it! You don’t know who could be watching, and every performance helps you grow as an artist. We have a friend who has the most amazing voice. He is called Geoff Mull! 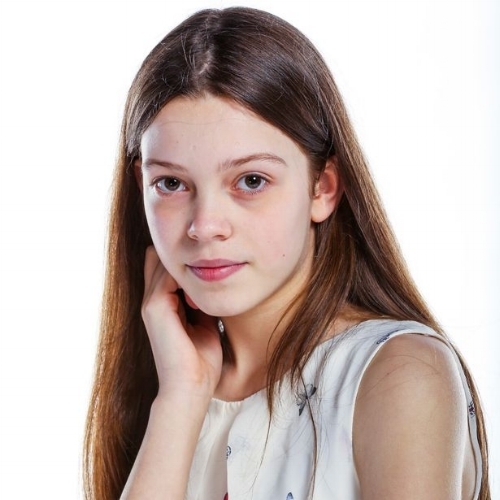 We are also friends with Courtney Hadwin (America’s Got Talent) our brother’s girlfriend is Molly Scott who is on the live shows of the X Factor. We also have a friend who is the biggest diva for her age and the biggest voice we have ever hear for her age! (She is nine) Brooke Burke. She appeared on The Voice Kids last year and we’re sure she’s going to go far. Were so busy with everything pertaining to music: it’s very rare we get to chill! G: I like to play FIFA football games on my PlayStation if I get the chance and I’m hoping to go to Winter Wonderland in Hyde Park. Liv: I love to go horse riding, take the dogs for a walk and chill out! Liv: Could you please play Freedom by Beyoncé! G: Could you please play Hips Don’t Lie by Shakira!